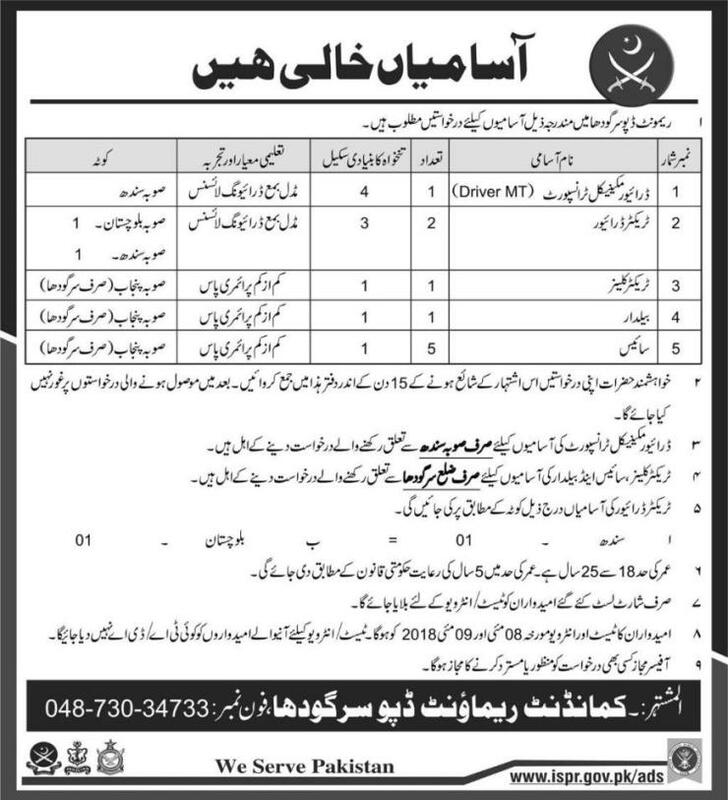 Remount Depot Sargodha has announced 10 New Jobs in Daily Express Newspaper dated 22-04-2018. Applications are invited from Energetic, Qualified and Experienced Personals to fill Vacant Posts in Remount Depot Jobs 2018 Against the Title of Driver Mechanical Transport, Tractor Drive, Tractor Cleaner, Baildaar and Syce. Applications along with attested Copies of Education Certificates, Latest Passport Size Photographs, CNIC Copy, Domicile and Experience Certificates should reach in the office of Commandant Remount Depot Sargodha before given date and time.